Born at Lachine, Quebec on 20 June 1847, the son of Robert and Ellen Black, he was educated at McGill model and normal schools. In 1870, he came west with the Red River expedition under Colonel Wolseley as a member of the second battalion, Quebec Rifles, stationed at Lower Fort Garry. He opened a general store at St. Clements, near Selkirk, in 1871 and remained there for over seven years. Black served as Deputy Registrar of Deeds at Lisgar and also dealt in real estate. He became Assistant Auditor in the Manitoba government in January 1885. In 1888 he was promoted to Auditor, retiring in 1915. In 1877, he married Anne Flora Murray (1852-?) of St. Clements, with whom he had six children: Ellen Black (b 1878), Robert Alexander Black (b 1881), Elizabeth Margaret Black (b 1884), Nora Bedson Black (b 1885), Archibald Campbell Black (b 1888), and Flora Macdonald Black (b 1894). In 1911, the family lived at 244 Balmoral Street in Winnipeg. 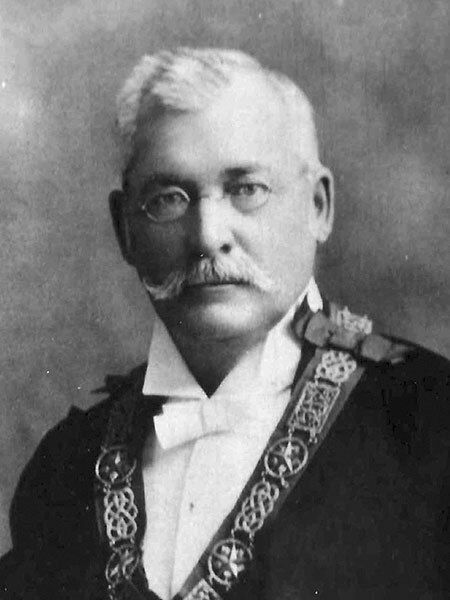 Active in the Masons, he helped to establish the first lodge in the Selkirk area, was its first Master (1870-1871), and served as District Deputy Grand Master for Manitoba (1874) and Honorary Past Grand Master of the Grand Lodge of Manitoba (1875). He was founder and president of the Civil Service Lawn Bowling Club and a member of the IOOF. He belonged to the Anglican church and declared himself as a Conservative in the political realm. He died at Vancouver, British Columbia on 9 November 1919. “Former auditor dies on coast,” Winnipeg Tribune, 10 November 1919, page 13.